Did you know home values are up 20%? With over 50 years of Real Estate sales experience between them, Marie Hoffman & Sue Murphy have proven they know how to produce results. When they started as solo agents handling every transaction from start to finish, they found it was difficult to achieve both their clients' financial goals and provide the level of service they felt was necessary to do their very best. Joining forces in 2006, The Hoffman Murphy Team was born and a new way of selling real estate began. Marie and Sue have since created an environment where their client's interests are at the center of every decision. It is our mission to make a difference for our clients by providing world class service in addition to achieving our client's financial goals. The Hoffman Murphy Real Estate Team is ranked in the top 1% of real estate professionals in the nation year over year, and employs only the highest level of talent. Over 75% of their business comes from repeat customers and referrals, which exemplifies their outstanding level of professionalism, as well as their dedication to every client's satisfaction. Every member of Hoffman Murphy is an avid participant in our local community, and a portion of all their proceeds are donated to local schools, the Children's Hospital of Los Angeles, and other amazing non-profits. "The Hoffman/Murphy team was phenomenal! I honestly did not lift a finger throughout the entire process, except to sign some papers. I felt totally supported and taken care of! Selling your home can be a very stressful process and they made it a breeze. I am truly grateful for them. Thank you so much"
"I'm a Realtor in the Miracle Mile area of Los Angeles. I have had the opportunity to refer several of my own clients to the Hoffman Murphy team over the past couple of years, one just in the past 2 months. What BLOWS ME AWAY about Marie and Sue is their commitment to customer service - which shows up in their extraordinary communication, care for their clients, and diligent follow up. The fact that they are truly competent at their craft seals the deal. I have never felt so comfortable referring my clients to anyone as I do with the Hoffman Murphy Team. Call me for a reference. I'll talk your ears off about all the reasons I love this team." "Laura Grabher, of Hoffman Murphy, is the most excellent, knowledgable, professional and compassionate agent. I highly recommend Laura and the HM team." "I contacted the Hoffman Murphy Team knowing my house would need some work to make it marketable before selling. Within a few days, the contractors were on site and working. My house was ready to sell within a few weeks and I received multiple offers after the first weekend of showing. All the ladies were so professional and made this a very easy and stress-free experience from beginning to end. Thank you Hoffman Murphy Team!" "I live in NY and had to sell my Uncle’s home after his death. The team had a marketing plan that would maximize the value of the property, given that the house was a “teardown”. They know all the builders and routinely meet with the other real estate companies. The plan worked, as we got more than the asking price and the property was sold in less than 2 months. Throughout the sale, the team was always available keeping me informed of the status of the marketing, negotiations and sale. They even referred me to legal help for the probate issues and helped with a difficult insurance problem. I would definitely use the Hoffman Murphy Real Estate Team again and highly recommend them." "Just a couple of months ago I was told that we needed to move from our home of 6 years. After looking at a rental, I was horrified when I realized that over those same six years, my rent would increase by $1,000 and over $12,000 would fall off my disposable income. The pressure was on to be approved and make it through escrow or be forced into another rental we could not afford. I was so incredibly happy that I met your team. I was so stressed. You were all everything I needed at the precise moment I needed it. Your professionalism could only be matched by your fantastic personality and I’m so grateful you were put in my path. I will always be your biggest fan and tell you how you knocked it out of the park for my family. You really impressed me!" "You guys heard me when I said I wanted to walk to the store, night spots and coffee shops, I wanted outside space, a bigger space, but in a better place. You guys did it! I now have a small complex with 3 patios, almost twice the size of my previous home and just a few blocks from the beach. Never in my wildest dreams have I ever imagined being able to afford here. Life is good thanks to all of you at the Hoffman Murphy Team. I am a raving fan!" "My fiance and I had the pleasure of working with the Hoffman Murphy team to sell my condo and buy our new home. We wanted to buy a house before our wedding and immediately sell the condo to avoid paying two mortgages simultaneously. The Hoffman Murphy team made the process seamless! As a result of their sale strategy and marketing, my condo sold for over the asking price and for more than any other unit in the history of the complex. On the buy side, they helped us find and negotiate for the perfect home in Redondo Beach to start our lives together. I cannot stress enough how easy it was to work with the Hoffman Murphy team- we recommend them to everyone! Thank you again!" "he sale of our home has been handled with professionalism, courtesy, knowledge and, most importantly, a “SMILE”. Without a doubt, every meeting, with Danielle our sales agent, Kerri our buyers agent, and Carol running the “paperwork” – and every other member of the HMT organization has been a pleasant one. Each and every person made us feel special, and treated us as individuals, with our best interests in mind. Danielle’s negotiating skills were invaluable when it came time to assess each offer. I might add that I was a bit skeptical about staging, but now I cannot say enough about the process and the principles of the procedure. We realize that the process was a huge factor in getting us not only five offers, but all over asking price, We appreciate the HMT team, they all accomplished for us and without a second thought, recommend them to anyone who is contemplating a real estate transaction in the future." "Working with the Hoffman Murphy Team was like having another person on MY team through the whole roller coaster that is buying and selling a home. They listen and advise, but they never impose their opinion. They gave me such spot on strategic advice tailored for my specific needs that I never second-guessed any advice they gave me. Once you pick your course of action, the team makes magic happen. The Hoffman Murphy Team has high standards, in fact, I found Sue planting by our garden by lamplight the night before our first open house after the gardener cancelled at the last minute. But even after it is all over, their attention to detail continues including a copy of the closing statement in time for taxes. I would never consider working with anyone else!" "The Hoffman Murphy Team is no ordinary team, they are a championship team! They have an outstanding combination of players that gave the sale of our home a winning experience. At a time when change can bring stress, the Hoffman Murphy Team gave great care to meet our needs and keep us updated throughout the whole process. They are an exceptionally talented group of people that bring a complete package in the understanding of the realty business and applying that knowledge to a successful adventure"
"We would like to sincerely thank you for your outstanding services you and your team provided in selling our house- you SOLD it in a week. We were very pleased with your professionalism and with your and personal attention to detail in every step of the process. Your team worked tirelessly to have the house ready from painting, staging, termite inspection, fumigation, closing escrow etc. It was a pleasure to work with a professional team and agents like you. Your office will be my FIRST choice and we would recommend HMT to anyone who wants peace of mind, to know that the sale of their home would be in excellent hands." "Having bought and sold 22 homes I have lived in during the last 30 years, the most recent sale with the Hoffman and Murphy Team was the best experience I have ever had. Their level of knowledge, experience and professionalism far exceeded my prior experiences as well as my expectations. I was very fortunate to have had their team plan and manage the entire sale process." 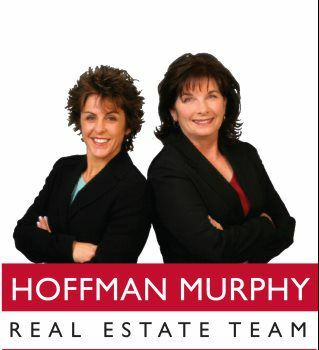 "We are raving fans of Sue Murphy and the entire Hoffman Murphy Team. They are hands down, the best team in town to price and market your home for an efficient sale at the right price. Do not hesitate to hire The Hoffman Murphy Team when it’s time to sell your home! They clearly have a system in place and the right people to execute on their plan." "It was truly a pleasure selling our home with the Hoffman/Murphy team at our side. This was especially helpful for us as this was our first and only time to sell our home. By virtue of the marketing process, they taught us the ART of selling one’s home. By ART we mean getting the best sale price without endless negotiations. Nothing but thumbs-up on all sides. We highly recommend the Hoffman/Murphy office for your real estate needs." "The Hoffman Murphy were voted "Best of the Beach" in the Easy Reader because they ARE the best! They are professionals who work hard, get things done, & are honest 100% of the way. You will LOVE working with the Hoffman Murphy Team." 'It is hard to find a business that treats you like family. That's how The Hoffman Murphy Team made us feel...like family." "The whole process of selling my home was a memorable moment. I was really eager to sell and they were happy to help. It was a match made by a loving universe from beginning to end. And this does not only include Susan and Marie but every one of their staff as well. What a team! I expected to be well taken care of and they exceeded my expectations. Their divine listening skills, marvelous follow through and a deep desire to connect on a human level made my experience so enjoyable. In the past the word joy and real estate were never in the same sentence! Service never faltered even after working through quite a few variables in our 90 day escrow. When you are ready to sell your home with ease and grace the only call you need to make is to Susan Murphy and Marie Hoffman." "It was our first meeting with Danielle that we knew we had found the right team to help us get our home on the market. Danielle was professional and extremely knowledgeable but gave us a warm comfortable feeling that we could trust her 100%; we didn't even bother to interview other agencies as we were SOLD! I had no sooner placed the call to the Hoffman/Murphy office to schedule an appointment with Danielle and they had a greeting basket dropped off at the house. I hadn't even had time to tell my husband that we would be meeting Danielle on Saturday. What a great way to start an extremely important relationship. From the moment we met Danielle she gave us this overall sense that we had found the right team for us. Not only did Danielle help us with selling our home but she continued to stay in contact with our realtor in the desert to make sure that we were meeting all of those dates on time and helped "push" things along with him very gently when required. Needless to say due to the entire Hoffman/Murphy team we were able to sell our home and close escrow one day early on our desert dream home. This was truly a miracle due to so many contingencies on both sides. It is a true testament to the dedication each and every person on the team has; these ladies really do work 24/ 7 and when they are not available there is always someone standing waiting to help you with any questions and to work through any issues that may arise. The Hoffman/Murphy team was a huge part of our family for over 45 days and we both feel that we made some amazing friends during the process. We are so very great full for everything they did for us and hold them very dear to our hearts whenever we walk into our new home. There is not a moment that Danielle or the team at Hoffman/Murphy had us saying "what have we done"; EVERYONE that we had the pleasure to interface with during our process was AMAZING!" "The whole Hoffman Murphy team was professional, personable, sincere, friendly and ready to help and respond to our questions and needs. There was always a quick response to our calls or emails. We appreciate all you did to get our house ready for sale and the amazing turn around time from the empty mess of our rental, to a beautiful ready to sell home! thank you so much! we happily will refer our friends and family to you!" "As a Realtor for 39 years, I am a pretty tough cookie. You and your team took an extremely stressful situation for us and handled it with such speed and competence I was in awe. Our grandmother lived in this home for almost 60 years. With wonderful bones but much updating needed, you and your team brought in plumbers and carpenters and landscapers and stagers. Within two weeks, you put a lovely refreshed home on the market in the midst of the Christmas season. Your efforts brought us 9 offers from the preview period we set up for realtors and their buyers. If this was not impressive enough, your team followed every step of our closing for a successful sale ... 3 weeks start to finish. You were a gift to me and my family and we will forever be grateful!" Sue and Marie and the ENTIRE team are an awesome group to work with. VERY professional and knowledgeable. I can't think of a better realtor group to work with. They actually sold our home in less than a week for over asking price and, I feel, a very good price. We couldn't be happier. "I know you plan well, to provide the quality of service for which you are known. For me your work was personal and an experience for which I continue to be grateful. Thank you again". Hoffman Murphy Real Estate was recommended to me by an acquaintance. Marie Hoffman came out for a visit to examine my house, and about six months later when I was ready to list it, I contacted her. She assigned a fine agent, Danielle Glew, to work with me. Hoffman Murphy placed a sign on my property shortly thereafter. They did not put it into the multiple listing service at that time. Two weeks later, with no other publicity, they held a two hour open house from 1 to 3 PM on a Friday. To my amazement it resulted in 12 families coming through to see my home. This single showing resulted in eight offers! I finally sold it for $56,000 more than the asking price thanks to Hoffman Murphy and Danielle Glew! I'm I am thrilled with Hoffman Murphy, and I think you will be too. I have already recommended them to a neighbor who is planning to sell his house. And I would encourage you to contact them if you are considering listing your home for sale. I believe they will do very well by you, and that you will have an exceptionally good experience just as I did! Like many families who find themselves forced to endure that emotional roller coaster called "Aging Parents and Dissenting Siblings", having to sell your parents' house is probably the most stressful part of the ride. Every uncertainty seems amplified within the family and having an experienced and friendly voice, especially those of Sue, Jessica and Carol, was exactly what the team at Hoffman and Murphy provided. We've worked with Marie Hoffman and Sue Murphy before when we sold our first home almost 20 years ago, so we were very familiar with their insightful and personable approach. If I had to highlight one shining quality that assured a successful experience, it would have to be the strength of the team's communication with our family. From the very beginning, a good clear strategy was provided and carefully explained. Even when there were dissenting opinions within our family, there was always a very open and constant dialogue to reassure each individual that their opinions were understood. Every step of the way was anticipated through discussion, a calendar of events and even recommendations for supporting services like estate sales and house cleaning that further expedited the process. It can't be overstated that when you're a little apprehensive because of the significance of such a big transaction, that it is the best reassurance to know that any question or concern will be promptly addressed regardless of the time of day. Ultimately the sale of the house proceeded with wonderful efficiency, in spite of the ever present and unique challenges that always occur. We couldn't be more satisfied with our experience. We sincerely recommend the Hoffman and Murphy team to anyone seeking guidance from seasoned real estate professionals who will most certainly provide a smart and compassionate network of support as they did for our family. I'd like to take this opportunity to express my gratitude and appreciation for all the dealings regarding the purchase of our condo. You handled everything exceptionally well with efficiency, grace and humor. I can't thank you enough for urging us to put in the offer when I was ready to give up without even trying. That's the mark of a great agent. And you have a great team too, from your transaction coordinator Neda to Doug Smith at Stratis to the crew at the Hermosa Escrow. We are so excited about it all. I'd certainly recommend you to anyone. "My name is James Carney, I am a retired Aerospace Engineer and Executive. provisions of our area and I invited Marie to visit us and share our view. time, direction, and money to. She is one fabulous woman. -James Carney"
marketplace, trends and 'Hot' new listings. not missing out on any pocket type listings. matter experts on our side made a typically stressful process a joy! track with the paperwork/process side of things. My wife was working one weekend and I had both of my daughters with me. available, I was shocked to hear she had other clients! We are very happy that the sale went through in the end! Your team did an outstanding job of setting everything up – it was so easy for us particularly being so far away. The staging was fantastic! Then when the bids came in we really liked how you put all the salient points in the spreadsheet. The strategy we settled on ended up working well despite the inevitable sticking points. Overall, the escrow process was quite smooth and seamless between you and the escrow company. We’re very pleased with how it all turned out and your hard work, attention to detail, and responsiveness! I just want to say thank you so much to all of you and your team at the Hoffman Murphy Team. You all have been truly amazing through this process and really made my family and I feel at ease through it all. From the get go we felt completely comfortable and knew that you all would make this a happen for us.There are not enough words to express our gratitude. Have an amazing weekend! Hoffman Murphy Real Estate believes in giving back to where we work and live- we've donated over $85,000 to local schools since 2014. With 9 children and grand children of our own team members in the local school districts- we believe in investing in our future and our community. We donate to schools in every community when we sell homes.